Throughout it all, her two little girls and the latest inspiration behind a Red Aspen product have been by her side, living this adventure! Roses are Metallic Red, Ruby and Simply Marbelous, Margot are named after her two cuties, oldest Ruby and youngest, Margot! These adorable sisters (and their moms!) adventurous spirits give us endless inspiration. Much like these adventurous girls, Roses are Metallic Red, Ruby and Simply Marbelous Margot are two of our MOST FUN nails. 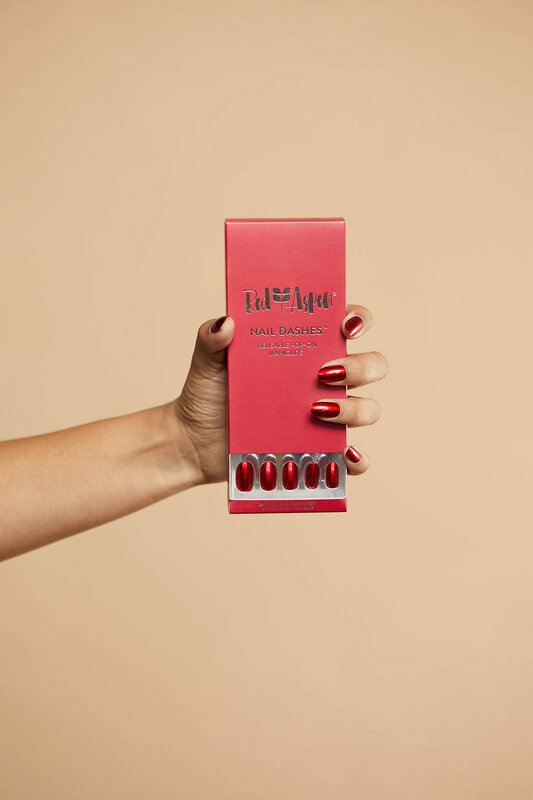 Ruby nails are classic, red, and glossy - the definition of beauty and glamour. The Margot nails are a collection of grey and marble nails, which create a sophisticated, urban look for all the trendy fashionistas out there. From Boise, to New York City, to Chicago, to Shanghai, Margot and Ruby are world travelers who have lived across the globe. Margot and Ruby’s parents (Erica and Nate) met while studying at Boise State University and moved to New York shortly after graduating. In 2012, Ruby was born in New York City. A move to Chicago coupled with the birth of their son, Calvin, meant that Erica learned to navigate motherhood (and the big city) while pushing a double stroller all over town. After spending 3 years in the Windy City, their little family up and moved again, this time relocating to Shanghai, on the very last day of 2016. While living in the heart of Shanghai, China, Erica gave birth to Margot. Ericka says living in China with 3 kids is quite an unusual sight because the government enforces a strict two-child policy. Locals often ask to take pictures with her kids because seeing a family of that size is such a rarity! Adapt! We are all by nature, creatures of habit. Erica is that person who likes to order the same things at restaurants and re-read her favorite books. But, learning new things is good for the soul and traveling and living around world teaches Erica and the whole family new things every day! I can do hard things. I often joke with people when they say things like “I don’t know how you do it” when referring to moving around the world or raising kids in big cities that I’m in survival mode! But in all honesty, I think that by being put into living situations that are new & sometimes difficult I have learned that I have what it takes and I’m stronger than I think. It’s been such a character building lifestyle. Finally - bloom where you are planted. We are capable of so many things, no matter where we are in life or where we are in the world. Add some excitement into your life! Try out the Ruby and Margot nails today. Reach out to your Brand Ambassador or shop here!